St. Louis School provides all grade levels with technology that allow students to express themselves in our modern culture. Technological advancements allow more interaction and options for our students and faculty. We may remain spiritual and individual while moving with the times. 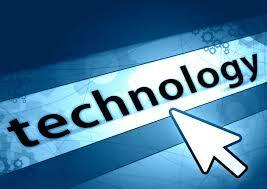 Students and teachers are able to access information electronically to enhance research, study and teaching skills. Students and teachers follow the technology strategies by grade level as dictated by the Archdiocese of Cincinnati Catholic Schools Office Guidelines for the Implementation of ISTE and Ohio Technology Standards and Competencies 2008-2011. Smartboard in every classroom with computer interactive whiteboard screen viewable by the entire class. The lab has a total of 32 computers running Windows 7 and Office 2010. The lab has 2 HP Laser Printers. The network is managed by a Windows 2003 Server.